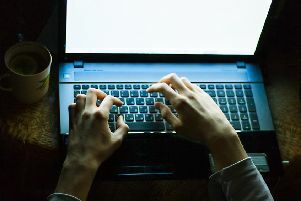 Rural communities with poor broadband could be given cash vouchers to spend on their own internet providers under proposals being considered by the Westminster Government. Senior members of Theresa May’s government sources believe BT is failing to innovate and want a major shake-up to encourage smaller broadband providers. It is hoped families in remote areas will group together top spend vouchers on experimental providers, the Telegraph reported today. The plan could be published as part of a Green Paper on competition in consumer markets to be published next spring. Calum Kerr MP, the SNP’s digital spokesman, welcomed the announcement, having put forward an amendment to the Digital Economy Bill in support of vouchers last month. Mr Kerr warned the government against using the announcement as a “smokescreen” to distract from the introduction of a Universal Service Obligation (USO) for broadband. Proposals for the design of the USO were published by Ofcom on Friday. He said: “I’m glad that the government has accepted the need for a voucher scheme for rural broadband: I’ve been pushing for the adoption of such a scheme since I was appointed as the SNP’s Digital spokesperson. “This is a welcome step towards better connectivity for rural consumers and a clear acknowledgement that the government has listened to the SNP’s proposals for comprehensive measures to close the digital divide between rural and urban.